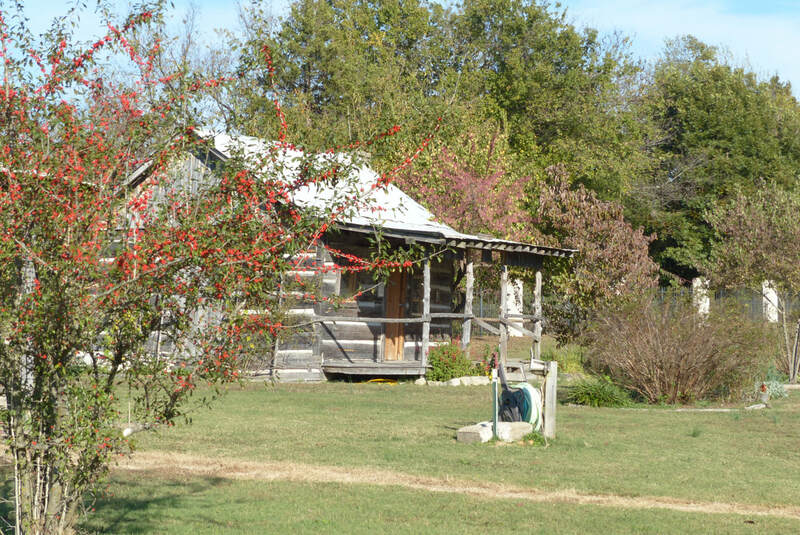 ​Three cabins and a schoolhouse have been relocated to this city park, creating a unique old-time atmosphere. 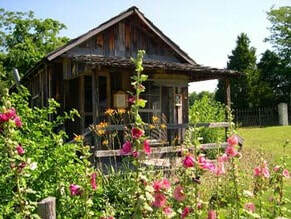 The Master Gardeners maintain the gardens at the “Shotgun” cabin on the left and the “Jones” cabin on the right. These gardens incorporate native, historic and “pass-along” flowers, bushes and trees that the early Baxter County settlers would have encountered and enjoyed while living in these cabins. 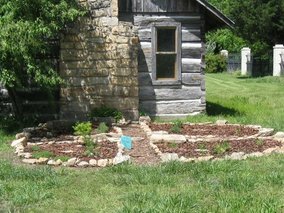 By maintaining these gardens we hope to draw park visitors to explore the cabin sites and experience a taste of early Ozark life. 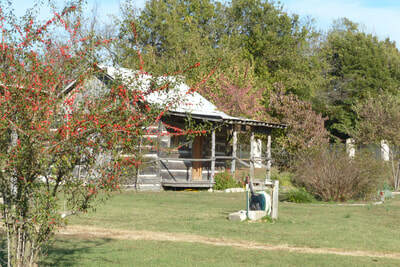 More about Rapp’s Barrens can be found at http://www.baxtercountyhistory.org/RappsBarren.cfm. Cooper Park is a busy place for walkers, runners, children and their dogs! We enjoy their questions, thanks and offers to come work in their yards. 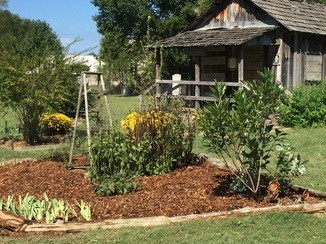 ​In the spring of 2015, a Medicine Wheel Garden was added to the Jones cabin site. The Medicine Wheel design is personal to the creator, with stones and/or ornamental objects placed symbolically based on their importance to the designer. 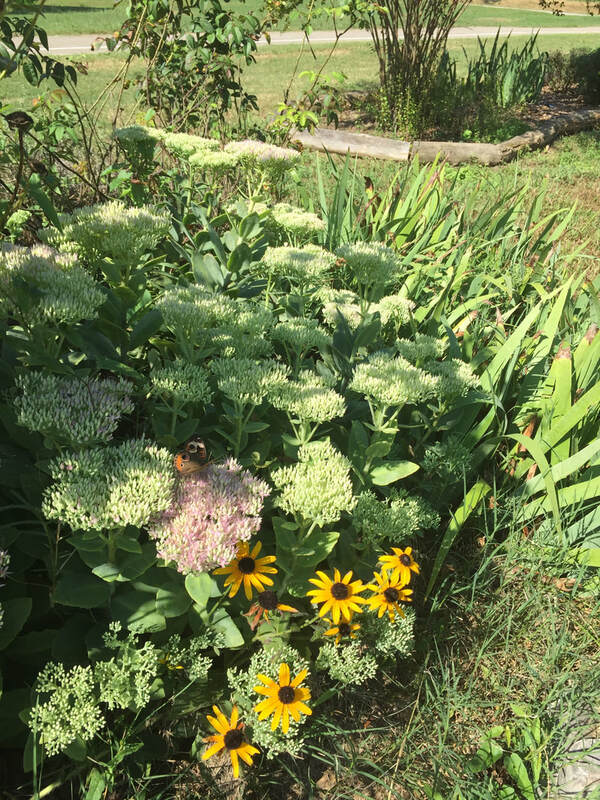 The quadrants can be planted with symbolic purposes, quadrants holding medicinal plants, cleansing plants, culinary plants, etc. Color within the quadrants can also have symbolic value. More information about medicine wheels can be found at https://www.nlm.nih.gov/nativevoices/exhibition/healing-ways/medicine-ways/medicine-wheel.html. 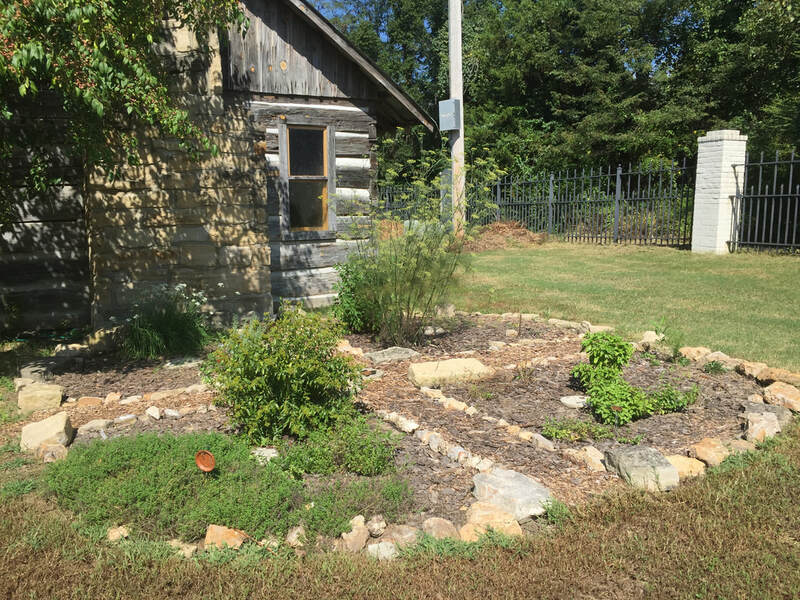 Our Medicine Wheel includes quadrants for medicinal and for culinary herbs. We also have plants for pollinating insects in one quadrant and shade herbs close to the cabin. ​These cabin garden areas, close to the walking path, are quite popular. We keep this in mind when we choose plants that can take the wear and tear of small feet. A pioneer’s garden would have suffered them too. 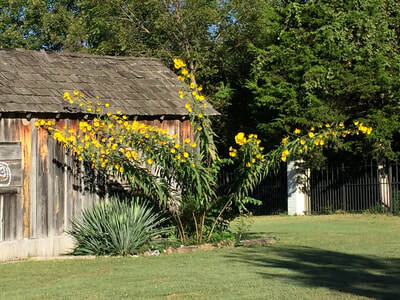 One aspect of the gardens that pioneers probably did not have to endure is the Bermuda grass that abounds around the flower beds as well as inside them. As modern Master Gardeners we are trying to get rid of this grass without using harmful chemical methods. 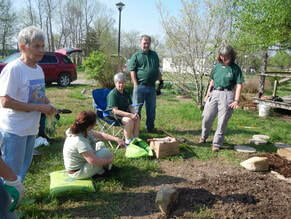 We have also spent many hours digging and pulling up ALL Bermuda grass sprouts. Even a tiny shoot left will repopulate the whole bed. Latest attempts include placing cardboard under mulch to smother the grass. 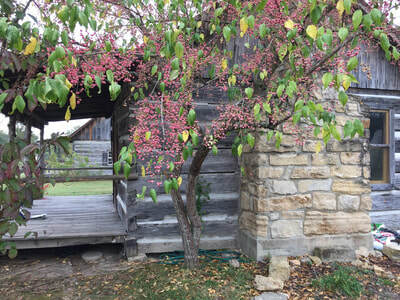 It is really rewarding to help keep a bit of Mountain Home history alive for the community. 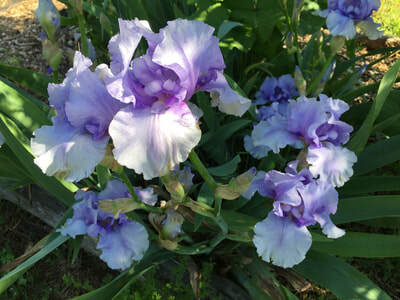 Many historic or heirloom plants are popular and useful today. We hope you will come and join us at Cooper Park. Our regular work times are listed in this website under the Events and Outreach menu in the item called “ Our Calendar”. 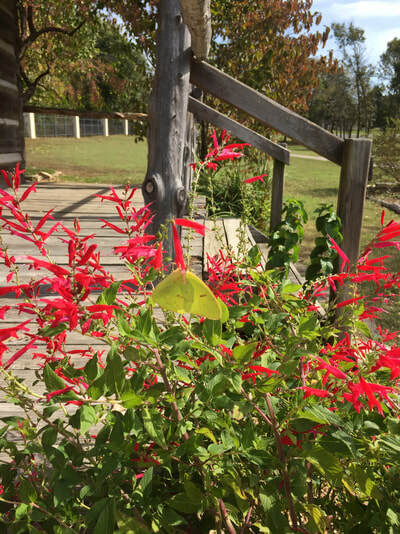 ​Come have a look at our gardens. They change with each season. 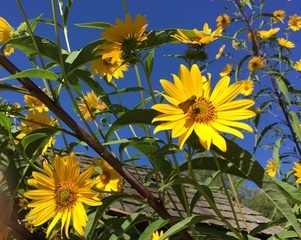 Two of our wonderful display plants are shown below - to be enjoyed in pictures only, as they die to the ground each winter before sending up new shoots in the spring/summer. Click on the picture to find detailed information. 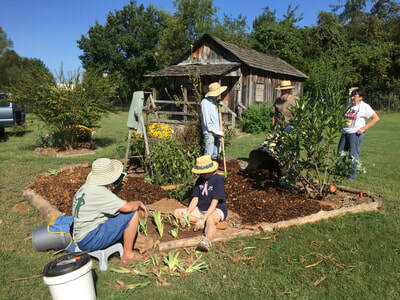 ​The Rapp's Barron Cabins at Cooper Park is a unique project for the Baxter County master gardeners. We strive to use a pallet of Arkansas native and heirloom plants that would have been prevalent in the mid 1800's and later to demonstrate that these plants are still strong and have a purpose in modern gardens. 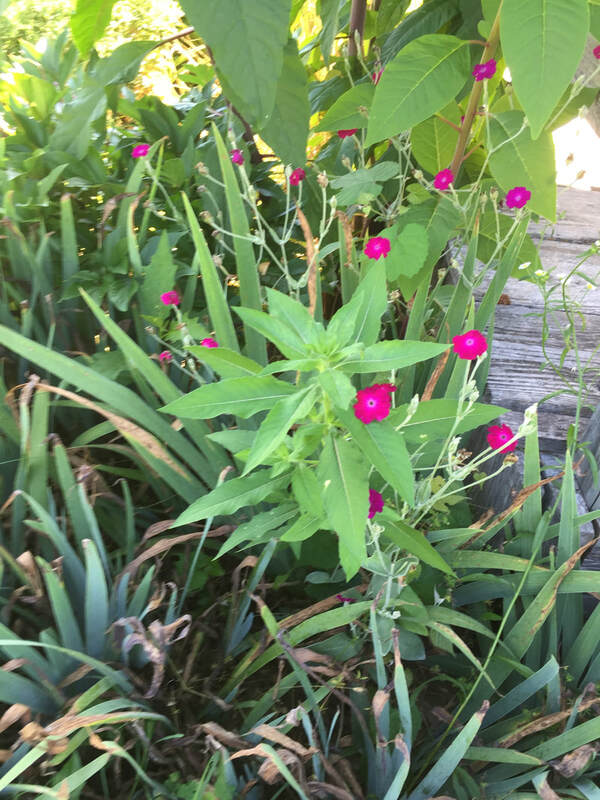 Come join us on a workday to ask questions about these plants. 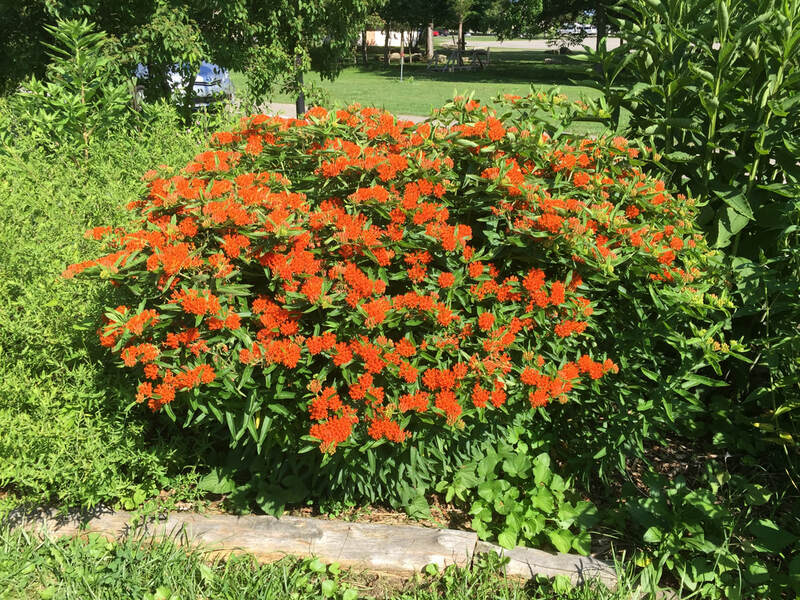 Below are a number of photographs taken at various stages of creating and tending the gardens.